“Unfortunately, the verdict given today did not reveal the background of the NSU murders, and the full scope of dimensions in the affiliation between the deep state and intelligence went unrevealed, as the real criminals remain in the dark,” said a Turkish Foreign Ministry statement. “Thus, the verdict is unsatisfying in the interests of justice and lacking in relieving the public conscience,” it added. 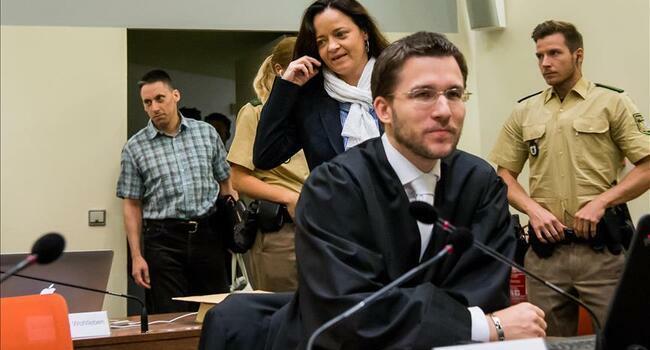 Munich’s Higher Regional Court sentenced neo-Nazi Beate Zschaepe to life in prison over membership in the NSU group and complicity in the murders of 10 people and two bomb attacks. The neo-Nazi group NSU was formed by three right-wing extremists — Uwe Mundlos, Uwe Bohnhardt and Zschaepe — who were on the run and have lived under fake identities since 1998. The group killed eight Turkish immigrants, a Greek citizen, and a German policewoman between 2000 and 2007, but the murders remained long unsolved. The group also carried out bomb attacks targeting shops owned by immigrants in Cologne. The German public first learned about the existence of the NSU in November 2011, when two members of the group reportedly died in a murder-suicide following an unsuccessful bank robbery. Zschaepe, 43, the sole survivor of the terrorist cell, has been on trial since 2013, but so far has denied any role in the killings and tried to lay the blame on her two male accomplices Mundlos and Bohnhardt. Until 2011, Germany’s police and intelligence services excluded any racial motive for the murders and instead treated immigrant families as suspects in the case, questioning them over alleged connections with mafia groups and drug traffickers. However, recent revelations have shown that German domestic intelligence agency BfV had dozens of informants who had contacts with the NSU suspects since the late 90s, Turkey’s state-run Anadolu Agency reported. But officials insisted that they had no prior information about the NSU cell and its suspected role in the killings. Many questions related to the murders were still unresolved, as dozens of secret files belonging to the domestic intelligence service had been destroyed, soon after the death of two leading members of the group in 2011.